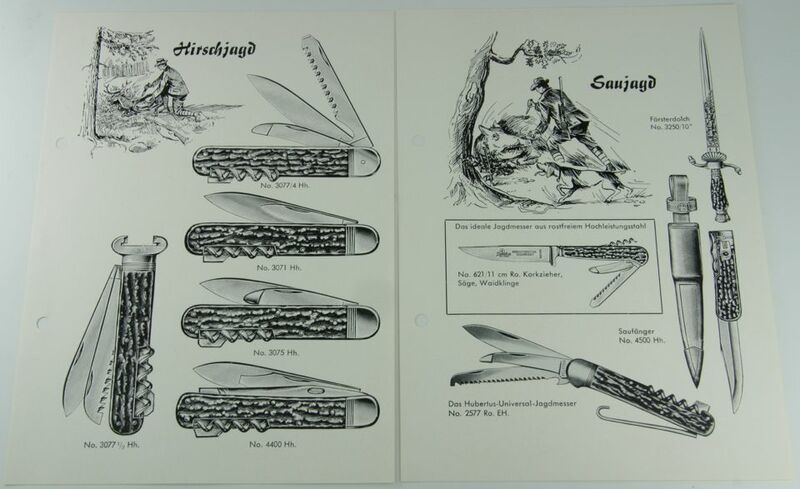 In our current manufacturing program we traditionally craft many classic knife models. 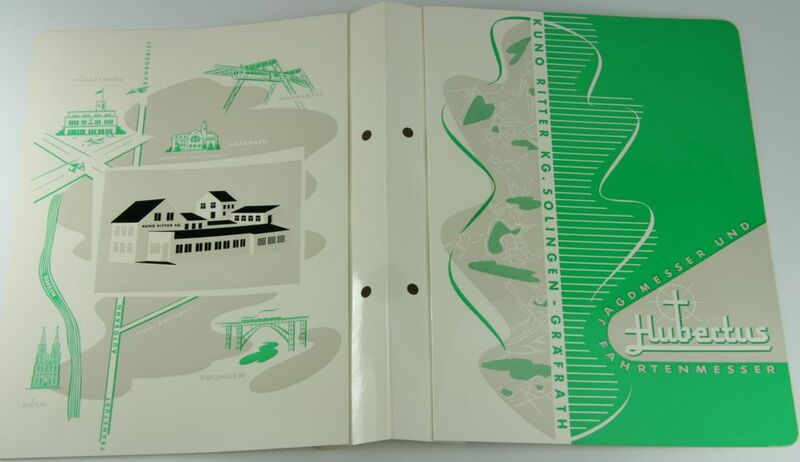 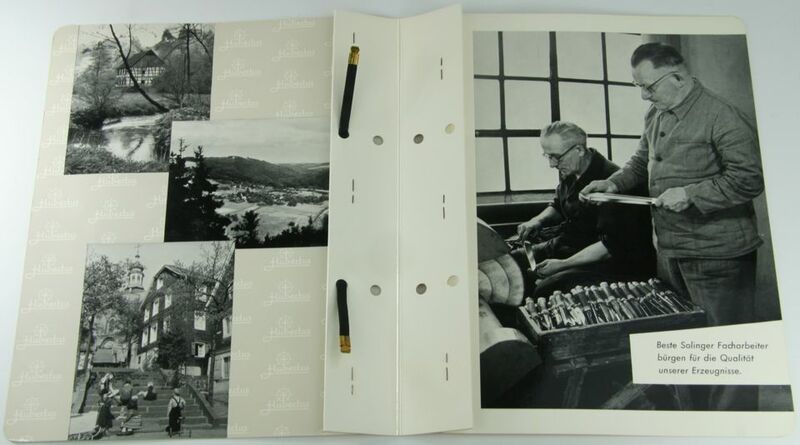 We are proud to present some historic documents taken from our company's archive. 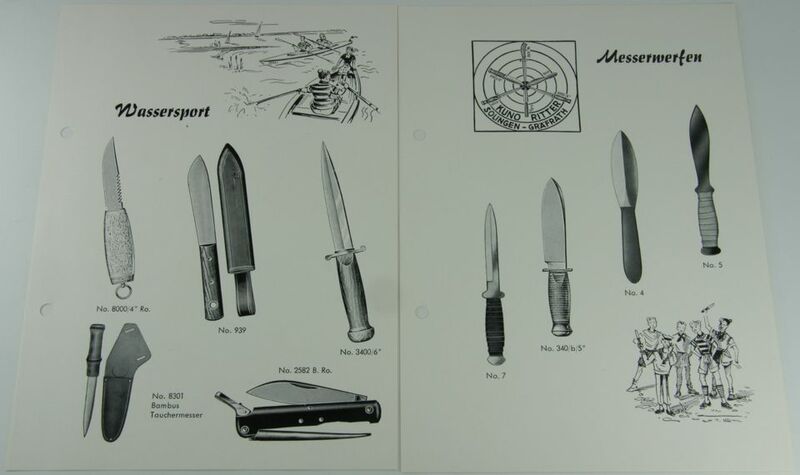 These documents comprise information concerning our company as well as information concerning manufactured products. 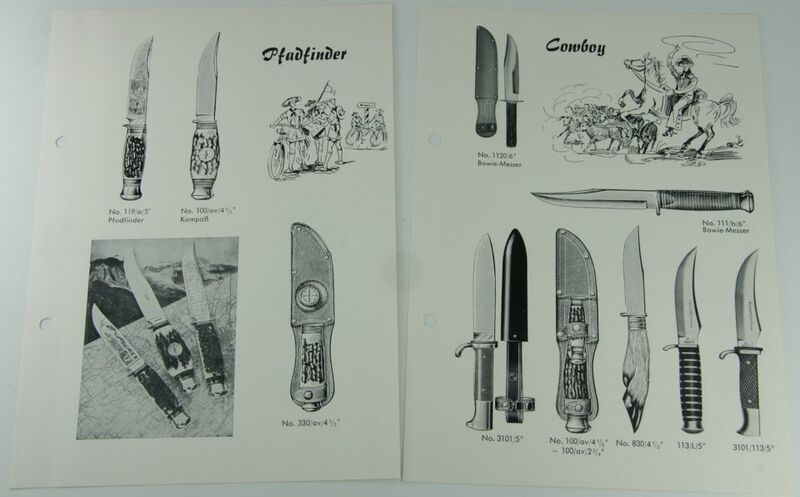 Some of these anciently crafted products are still manufactured nowadays. 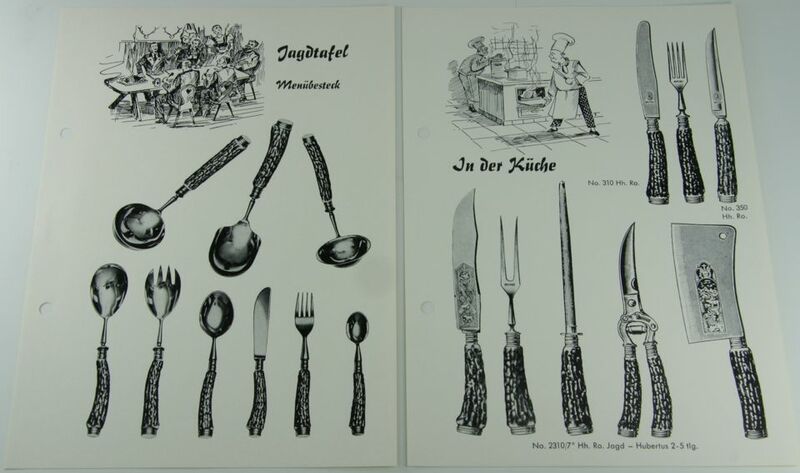 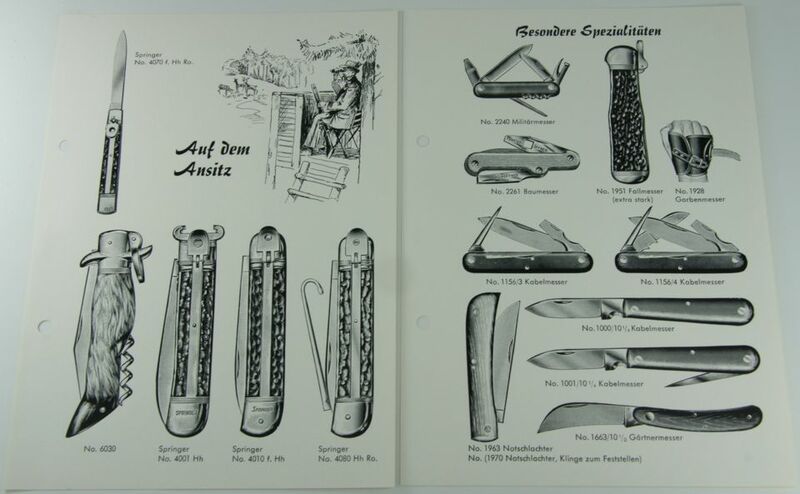 The first catalog published in the postwar period in the early 1950s was already annotated with the brand “HUBERTUS“. 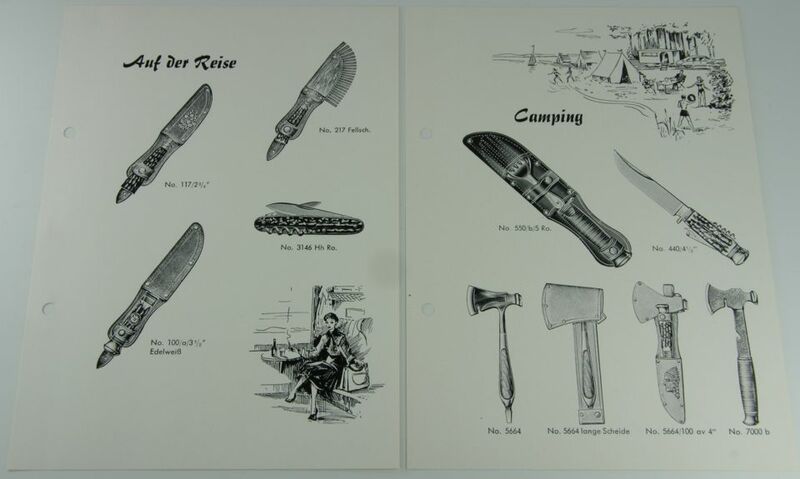 This brand was purchased by Kuno Ritter in the year 1950 and illustrates the reorientation of our company with an emphasis on hunting knives. 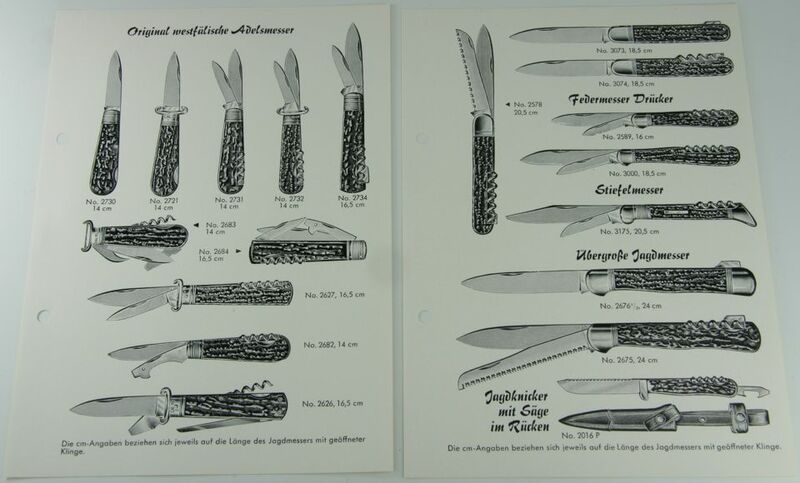 As one of serveral new knife models the catalog presents a Waidblatt (Nr. 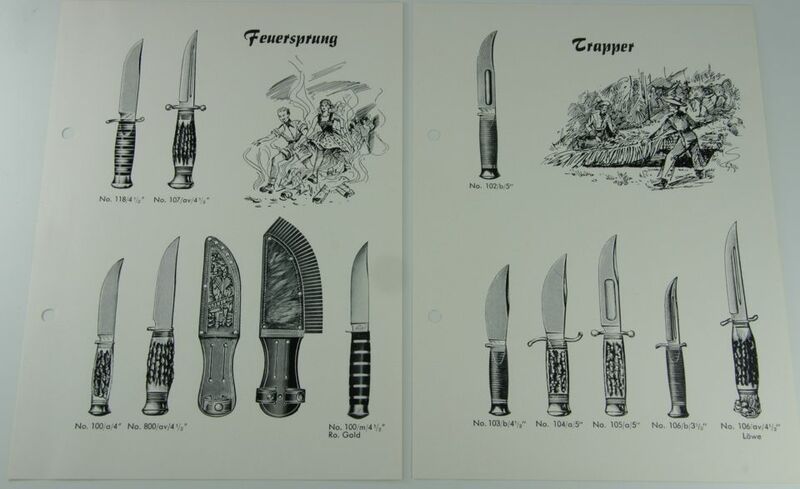 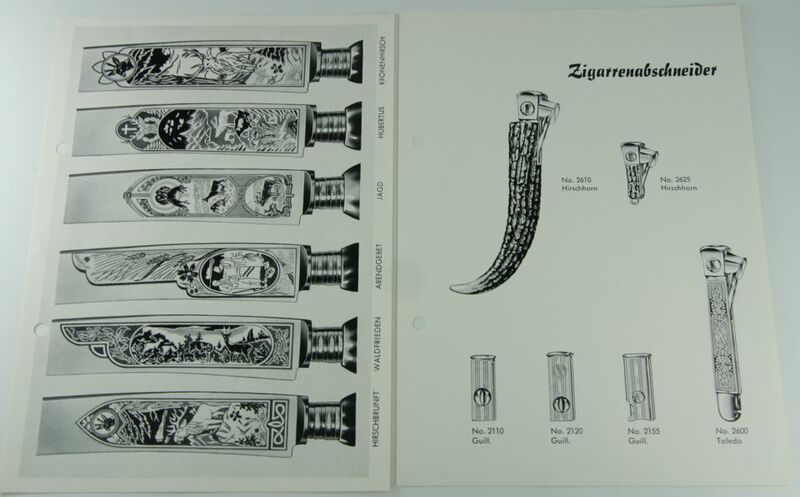 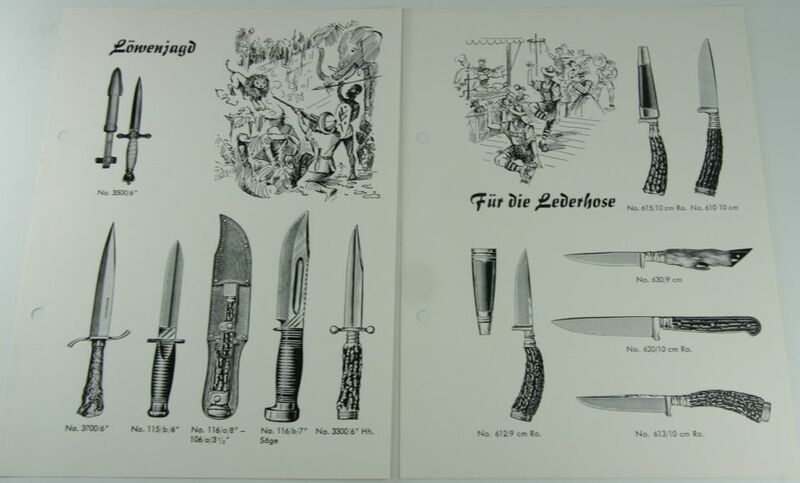 1830) (see catalog page 6) which was manufactured by Kuno Ritter in cooperation with Carl Eickhorn. 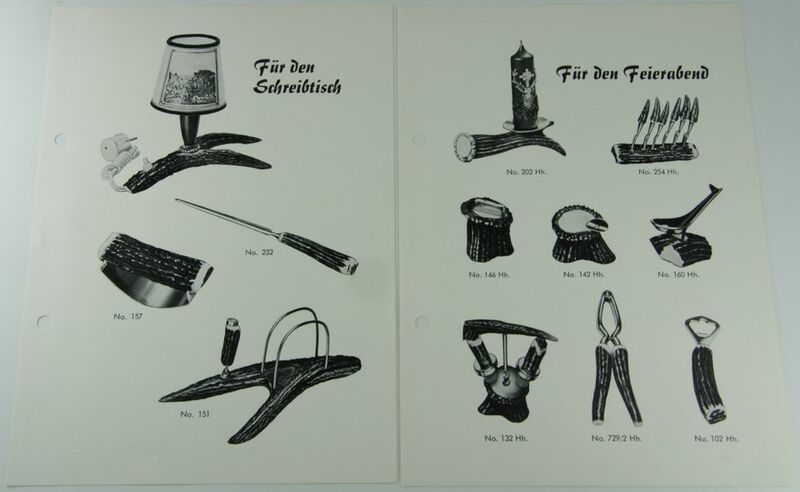 It is based on the "Frevertschen Waidblatt" (Frevert's Waidblatt). 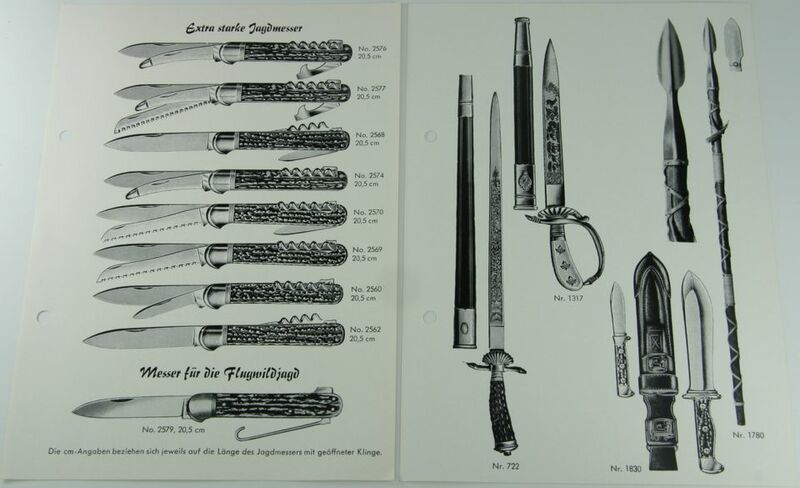 This has been manufactured on demand of Walter Frevert by a cutler in Marburg, a picturesque town 150 km west of Solingen.